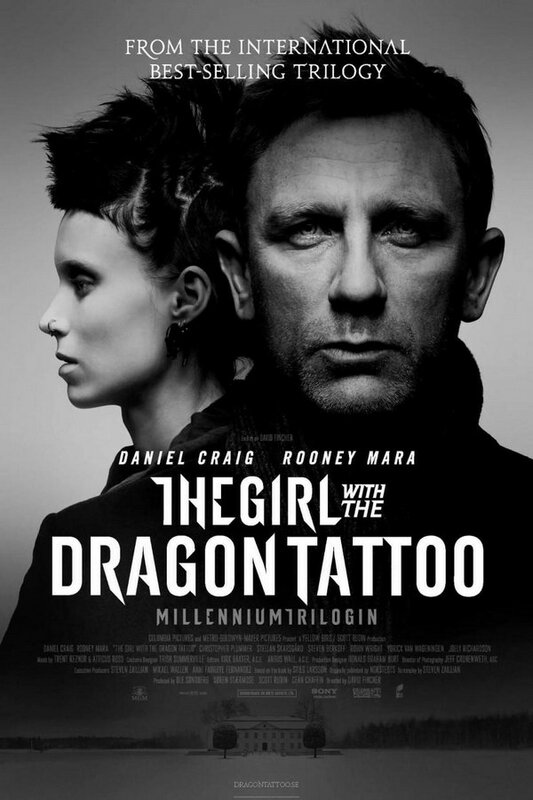 The Girl with the Dragon Tattoo font here refers to the font used in the poster title of The Girl with the Dragon Tattoo, which is an American mystery thriller film based on the Swedish novel of the same name. The film centers on a journalist and a hacker, who try to investigate the story behind a woman from a wealthy family. The title lettering of the film is very similar to a font called CM Tattoo Dragon designed by Christopher Means. The font comes with a rather complete character set. You can download the font for free here. If you do not want to download and install the font but just like to create simple text or logos using The Girl with the Dragon Tattoo Font, just use the text generator below. The following tool will convert your entered text into images using The Girl with the Dragon Tattoo Font, and then you can right-click on the image to save it or click on the "EMBED" button to get links to embed images on the web.